I remember taking a call on-air one Mothering Sunday from a women who said I'd made her cry. There she was, at the bottom of the garden pruning her flowers, telling me she'd cried when she'd heard a single dad call in earlier. He'd related the story that his daughters had sent him a Mothers Day card to say he'd, effectively, been the best mother they could have wished for. The women explained that she'd lost her husband a fortnight before, and not allowed herself to mourn; yet the unrelated tale on-air from a chap she'd never met left her shedding the tears she so needed to cry. As is so often the case with grief, it is displaced and hits you when you least expect. How incredible it is that it was the mass broadcast medium of radio which brought out the Kleenex that sunny Sunday morning. For her, this was not about radio, this was about a friend in her life. Talking to her. Connecting. Being there. I am not the only person in radio who's received calls from listeners on the darkest days of their lives . 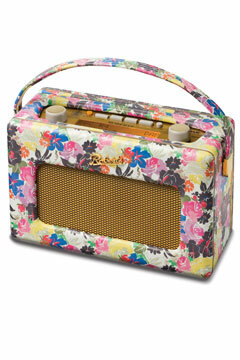 When it seems there is no-one else they feel they can open up to; they choose radio. Sometimes a presenter they relate to, but other times just a random text to 'the station'. And it's just as often a music station as not. A few years ago, I called a listener back off-air who was caught up in a terrible situation and threatening a dramatic exit. I listened; and thankfully was able to help those better qualified than me track her down to assist. About a year later, she called again, sounding bright-eyed and bushy-tailed, to say thanks. Radio had helped her to get her life together. Maybe the best definition of radio is as a friend. Yes, it may sound like a hackneyed word from a 1980s jingle package, but it's as true now as it was then. Chris Moyles' 21st Century audience would readily have viewed him as their 'mate'. It enjoys that peculiar position of feeling utterly close and personal; whilst dirty great big aerials pump out its charm efficiently to millions at low cost. Radio is not always about helping you through tough times. But is that not like a friend too? Good friends are sometimes serious, sometimes not. The best ones are life and soul of your party, yet also there to fetch you from the airport at 5 am in your hour of need. Most research suggests that the key driver for much radio listening is that it 'lifts my mood', but there is also that reassurance that if you need to know anything, the trusted radio will tell you. Until that time, you can relax knowing the world is well. Just like friends, sometimes the relationship is intense; other times they are just there. Rather like the contrast between active late night or breakfast radio; and more passive daytime. Aren't the greatest friendships in life the ones where, even after months apart, the conversation flows as if you last saw them the day before? You pick up as you left off. That is a beauty of radio: it's always there; and the formatics ensure you know the station's personality will be the same next time you bump into it. In any definition of radio, real-time might be one important factor. Most radio is consumed as it is broadcast. Even wholly voice-tracked stations enjoy a sense of time and place. This emotional, accessible medium also connects. So much great breakfast radio today is about story-telling. A person on the radio will share the ups and downs of their own life and their listener will relate. Few radio presenters portray themselves as perfect. Ask Paula White. A friend introduces you to things too: a new trend, film, fashion or song. That's another of radio's great qualities. In a world of ever-growing choice, we need someone to guide us through. To help us marshal our music listening and harvest our news. It's great arriving in a new city, but much better if there's someone to show you round. Even the cleanest of formats have a friendly voice and someone who seems to know the sorts of songs you like. This is a friend which lives and breathes. It has a spirit. A character. And a name. It's interesting that when looks at the biggest media stories on the last decade, for good or for ill, they are about radio. Whether the Andrew Gilligan Radio 4 interview; the Ross/Brand debacle; or the Royal 'prank call', they are about radio. When the DG of the BBC resigned, it was probably the Radio 4 interview by Humphrys which was credited with being one of the final pieces in that uncomfortable jigsaw. A hundred years on and the medium of radio remains the one which creates the headlines. The unwashed simplicity and agility of the medium combine to great effect; and in the interview situation, the intimacy through the single dimension of voice exposes the truth effortlessly. Every day, every presenter will connect with their audience. Sometimes that connection is a smile. Very frequently too, it's a tangible response, a phone call, a text, or a social media exchange. Pick up any listener email today and study the language. It is the language of a friend writing to a friend. Yes, the talk stations will generate probably more response, but good music presenters on decent stations now will readily agree that they have a friendship with their audience. And their audience would agree. As the world changes, it's certain that others will indeed trespass in radio's garden, just as TV once did. 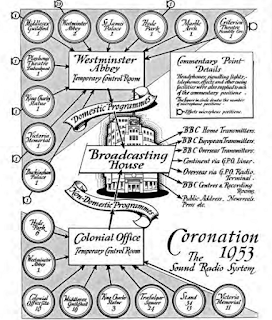 There will be a shift, but as the Observer newspaper correctly said of radio in 1953 after TV's Coronation coverage "For sound radio, no flowers yet". Many of us recall the scare stories when the primary-coloured breakfast TV kicked in back in 1983. At the time of ILR's inception, there was also the fear of the radio-cassette player. But, it's tough still to envisage a total substitute for a medium which 90% of people consume for over 20 hours a week, given the affection listeners show towards their radio. Sometimes when one struggles for a definition, it's useful to consider the inverse. What radio isn't. Or maybe how much you'd miss it if it wasn't there. Ask any programme director who's dared to change a schedule, presenter or station name, or close a station to proffer an answer to that. The question of 'what is radio' falls into ever sharper focus as music streaming services multiply and press and conference coverage amplifies their existence. Maybe there is no clear answer to the conundrum. Is a flow of great songs streamed at will radio or not? Is the Media Guardian's elegant podcast a radio programme or not? Just maybe there is no glib black and white answer. 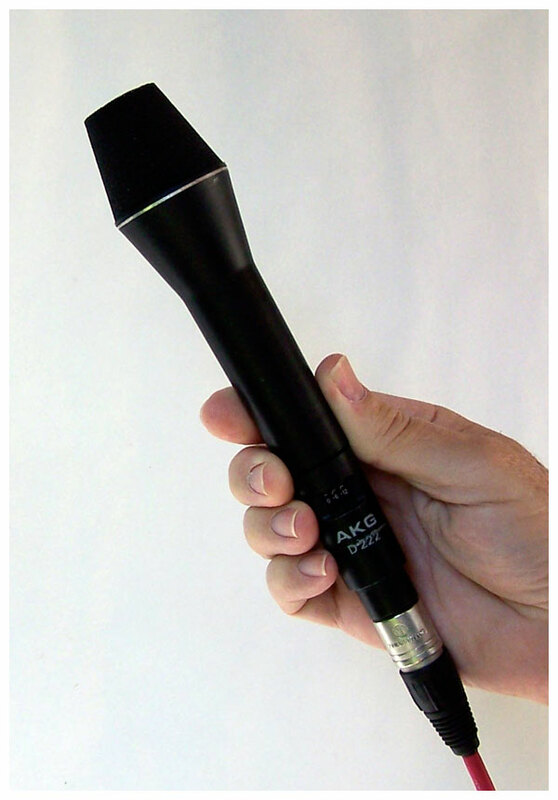 Just as Freud suggested that sexuality lay on a continuum, maybe radio is the same. Some sorts of sound are just more like radio than others. Consider too the dictionary definition of radio remains about carriage not content. We have, however, chosen to adopt the word 'radio' as shorthand for 'radio programming'. Maybe, today, we should frame a new definition for submission to the OED. The contradictions of radio are likely part of its attraction. It's perfect, yet imperfect; surprising, yet consistent; active, yet passive; talking, yet musical; amusing, yet serious; personal, yet huge; trite yet life-saving. It's a friend and it's alive. Read too Phil Riley's blog. Should we be worried about Apple? And Mark Barber's analysis (RAB) of 'how to tell if your streamed music service is radio'. Twelve million listeners to a single broadcast is quite an achievement. Despite the Coronation's TV appeal, these many millions chose not to view the occasion sat cross-legged on the lino in a neighbour's front room, watching in black and white on a flickery small screen fired by an H-shaped aerial, but to relish instead the radio commentary. With many years of experience under their belts, the BBC radio commentary was always to be in colour. The Palace had agreed for the cameras to be present, against opposition from a reluctant Cabinet, who worried that TV would be an "intrusion on a sacred event". Nevertheless, it was the radio executives who played the key role in the year of preparation for the overall broadcast coverage, for radio was still seen as the 'lead medium' for this, the largest single-day event ever organised by the BBC. There were those, however, who suggested this was the last moment when that would be so: the Observer told of someone who'd commented snidely that "sound radio will die next Tuesday at 10.15 in the morning on the dot". Even for radio though, TV had its uses. 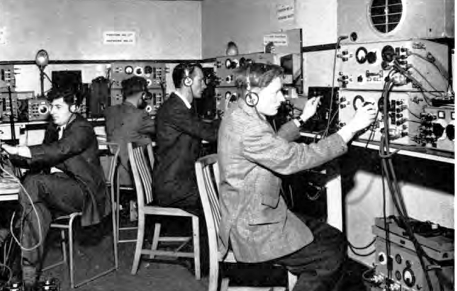 Monitors were installed so that radio commentators might enrich the scope of their narrative. was just given for two British and one French commentator to be located within the heart of the Abbey. A further nine stood poised along the five and a half mile return route. It was clearly a demanding day for the engineers too, an additional 1300 circuits being secured from a state-owned GPO (BT); and presumably lots of Gaffa tape to ensure no courtiers slipped over a stray cable. Plans were sensibly made too for the recording of all outputs, with additional bulky magnetic recording machines hired for the day. The battery ones were seen as unsuitable: who wants to miss a key moment owing to a flat PP9. It was to be a day of simulcast for the BBC Home and Light programmes (Radio 4 and 2), with only the Third Programme doing its own thing. The radio day began at 530, with 'Music Whilst You Wait' replacing 'Music While You Work'. Likely a clear case of a working programme title making it to air. The programme proper began at 1015. The radio commentary team featured the impressive John Snagge, Wynford Vaughan Thomas (later a founder of Harlech TV), Howard Marshall (cricket commentator) and Talbot Duckmanton (Australia). 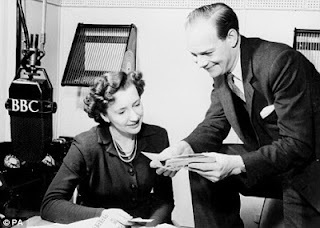 Captain WES Briggs (Canada) chipped in, as did Willy Richardson (West Indies), Audrey Russell (first female news reporter, then war correspondent), Frank Gillard (War Correspondent and later the godfather of BBC Local Radio), Henry Riddell and Tom Fleming (an actor who later played Reith). Charles Gardner was joined by the wonderful Jean Metcalfe from the Light Programme, adding some further richness from her vantage point overlooking the quadrangle at the Palace. John Arlott of cricketing fame was to be at Piccadilly Circus with Raymond Baxter (later 'Tomorrow's World'), Alun Williams, David Lloyd James and Rex Alston on Victoria Embankment. This was the premier commentary league, brought up in a Reithian regime when words were all we had. 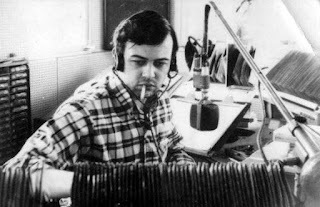 Whilst so many of today's radio broadcasters are thrown into commentary only in extremis, these characters were accustomed to conveying every sight, sound smell and mood; peppered effortlessly with relevant facts from a bottomless fund of knowledge. To this day, the skill lives on in radio sports commentators; and it is interesting that so many of those chosen to commentate on the Coronation had that very background. The words of the young Queen were aired at 9.00 "Throughout all my life and with all my heart I shall strive to be worthy of your trust"; alongside those of Churchill, who'd valiantly opposed TV's 'intrusion'. 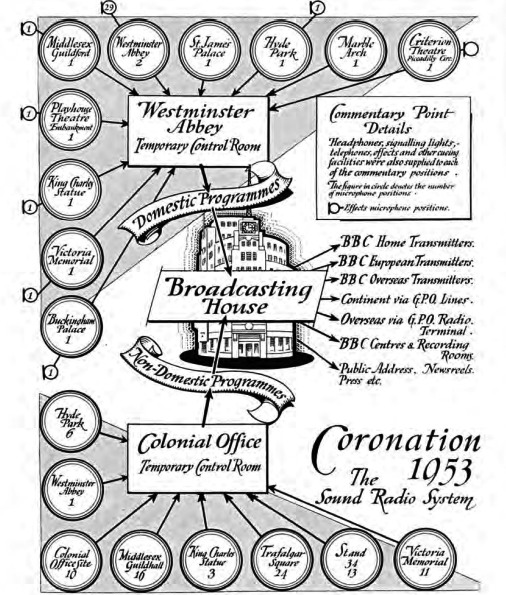 By the evening, in a bid to rally a celebratory spirit around the World, the programming adopted an international flavour, with a 'Coronation Day across the World' programme. 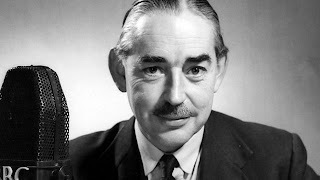 Geraldo and his Orchestra played late night dance music from Lille; and contributions were mixed in by the Bakelite controls variously from a cafe and from a party in the British Embassy. Coverage was relayed around the World; albeit some broadcasts were not handled with the reverence of the suited British commentary. In a commentary gap, one American commentator, maybe playing the role of an LBC caller, asked if the whole event was "just put on by the British for a psychological boost to their shaky Empire". Despite TV ruling the roost back home, the Times reported the following day that, globally, radio enjoyed "immeasurably greater numbers", with 'excellent reception" being enjoyed. The newspaper generously dubbed this 'picture in sound' as "broadcasting at its best". It observed that commentators "concentrated on conveying the atmosphere by giving their own wholehearted vent to their own reactions to it". Howard Marshall was praised for his 'blend of historic reminiscence and description" which "exactly suited the occasion". John Snagge "performed the most difficult of its tasks with incomparable skill and taste". The Times concluded the sound broadcast was "technically perfect". Just maybe this was the last ever radio broadcast scrutinised in the press to this degree until the launch of Radio 1. 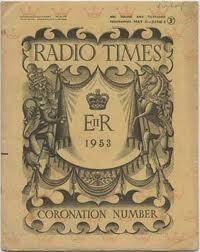 The Radio Times back then was printed on that cheap paper you used to crayon on at school. Not the shiny TV Times paper. The Coronation edition cost just the usual threepence; and sold nine million copies. That probably explains why your grandma has a yellowing copy in her loft. So. 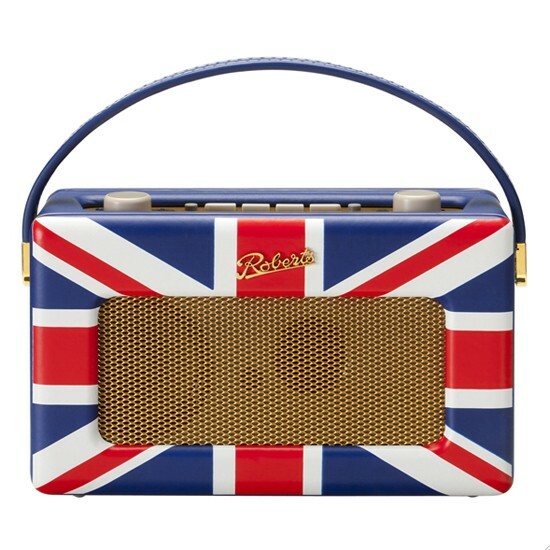 11.7 million listeners in the UK, according to special BBC research, although I suspect its methodology may not pass muster with Rajar. It concluded, nevertheless, that 92% of listeners felt they were "satisfied". The remaining 8% did not trouble to grab their Basildon Bond to complain: 3,000 letters of commendation were received. Rightly so. Whilst the Observer leader in 1953 had opened by quoting those who'd suggested that this was the moment radio would end, the column wisely concluded: "For sound radio, no flowers yet. Addressing itself, through the ear only, to the imagination, it will reach the inward eye".